If you’re looking for a Costco Christmas tree they are definitely a good option. Not every location carries Costco live trees, but don’t worry, we’ve compiled a list of locations that are carrying them. Some locations already have the Costco Christmas trees while others will be getting them on Black Friday or very shortly after Thanksgiving. Prices vary from store to store and region to region, likely depending on trucking costs, but range from $31.99 to $59.99. 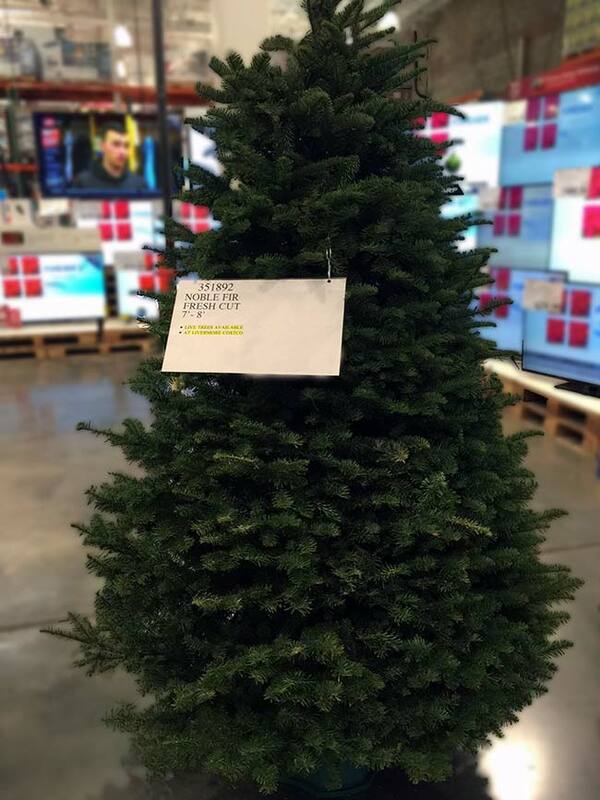 One fresh cut Christmas tree at Costco is Item #351892 and is a Noble Fir ranging from 7′ – 8′. The other option we’ve seen at different locations is a fresh cut Douglas Fir 7′ – 8′ Item #16995. 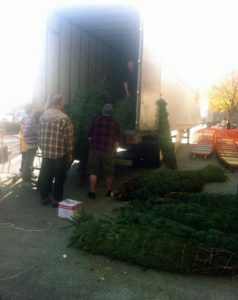 Lastly, we’ve also seen a Fraser Fir 8′ – 9′ and is Item #352600. The trees are not unwrapped, so you are blindly picking your tree. We’d recommend getting your Costco Christmas Tree early as they will likely sell out quickly. More info below. When does Costco get Christmas trees? Some locations get them as early as November 20th. Some will have them Black Friday. Some locations will be even later. From what we’re hearing most Southwest locations have not gotten them yet. 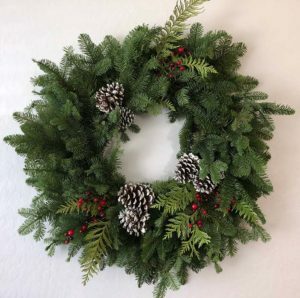 When can I get the Costco live Christmas wreaths? Can I get a Costco artificial Christmas tree? Yes, there are three sizes available. They are 7.5′ for $299.99, 9′ for $399.99, and 12′ for $599.99. Do you have a Costco Christmas tree review? The Costco real Christmas trees are awesome, especially for the price. We also have a Costco artificial Christmas tree and we absolutely love it. Very easy to set up and looks great. How much are Costco Christmas trees? Prices range from $49.99 in the Northwest to $59.99 in the Southwest. When does Costco get pre-lit Christmas trees? They are available as early as September 4th in warehouses. They will likely sell out by early December. Any other tips for Costco live Christmas trees? Put the tree in water before you open it. It will likely not have been watered for at least a week, so this will help it not lose a lot of needles when it’s opened.